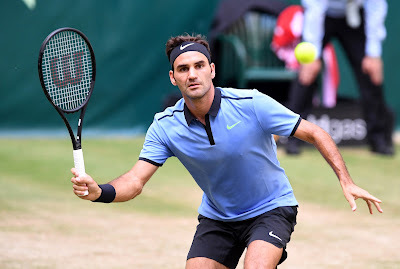 Top seed Roger Federer reached the Halle Open semi-finals on Friday, beating defending champion Florian Mayer 6-3, 6-4 and edging closer to a ninth title at the Wimbledon tune-up event. Federer has yet to drop a set after three matches this week. He boosts his ATP Head to Head record against Mayer to 8-0, with five of those wins coming on grass. The top seed is through to the semi-finals in Halle for the 13th consecutive time, with his two quarter-final losses at this event coming in 2000-2001. The Swiss star also improves his Halle record to 57-6. Federer scored the lone break of the opening set at 2-1. Mayer fought off three set points on his serve at 2-5, but the top seed comfortably held to love in the next game with an ace. The second set was nearly identical to the first, with a backhand wide from the German allowing the top seed to take a 3-2 lead. 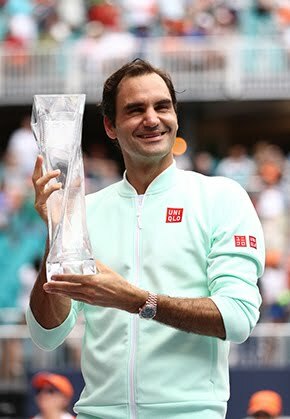 Mayer bravely fought off two match points on his serve at 3-5, but another forehand winner from Federer on his first match point wrapped up the contest in 66 minutes. The world number five, building up to an assault on an eighth Wimbledon title in July, will next face Karen Khachanov, who defeated fellow Russian Andrey Rublev 7-6 (8), 4-6, 6-3 in his last-eight clash. 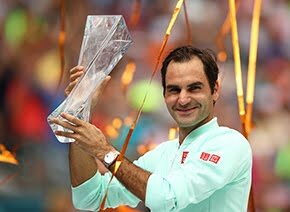 Federer, who hit 11 aces and 32 winners, said facing Khachanov on Saturday will present a new challenge for him. Saturday's other semi-final will see German fourth seed Alexander Zverev face Frenchman Richard Gasquet. Zverev defeated Spanish seventh seed Roberto Bautista Agut 6-7 (6), 7-6 (1), 6-1 while Gasquet saw off Robin Haase of the Netherlands 6-1, 3-6, 6-1.